This week was all over the place! I was in town to start off last weekend, so not too much activity. I did work out at the winery Sunday afternoon, which is always a pleasant little experience. It was a moderate day, always someone to help, but never a line of people waiting, a nice volume of people. Working at the winery, bartending, cleaning tables, doing dishes, making pizzas, is such a change from the pressure of thousands of dollar decisions I regularly make at work on a daily basis. It's nice. I spent four of five days this week in Davenport at our factory. Now six months out from the start of production, we have a better idea of what things are causing problems and what is going really well. So in the effort to bring attention to the problems we are having we are in the process of basically doing an internal audit that means the production line is shut down for just over a week while we go station to station and watch each person do their job and get feedback on how we can help them to do it better. Also, it is an opportunity for us to stress the quality needs and failures we have seen so far. Friday night my parents were in town for dinner and a walk, and Saturday they watched my race. Thanks Mom and Dad! Somehow I managed to run 52 miles, despite not having a long run, taking a day off and having a 2 mile day. I did a small 2 x mile workout pacing my friend SB to a 25 second mile PR, from 6:10 to 5:45. I'm hoping maybe in my next mile race I can have a 25s PR too, and run 4:06. (HAHAHAHA!!!) 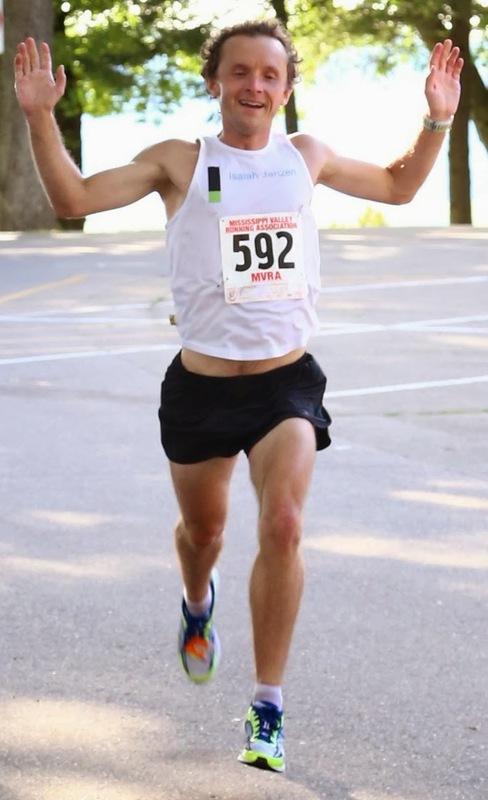 Saturday I raced the Mines of Spain Trail races half marathon. I'm going to write a blog post about that race report. 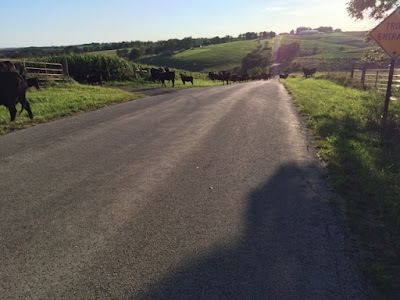 On Monday I went for a bicycle ride up in Wisconsin, and had the country experience of the cows getting out again, and the rancher or owner nowhere in sight.